JetBlue Airways has confirmed its plans to serve non-stop flights between the United States’ east coast and Europe. 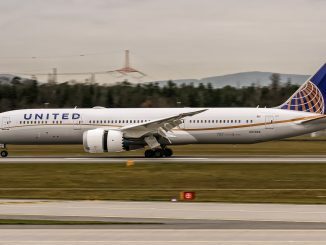 This is the first time the airline will operate a transatlantic connection. The American short- and medium-haul carrier will introduce multiple daily services from New York JFK and Boston Logan to London in 2021. Although JetBlue has not yet outlined which of the London airports it will fly to, one source states the airline has applied for take off and landing slots at Heathrow Airport (LHR). To operate these routes, JetBlue will convert 13 of its existing orders for the Airbus A321 to the A321LR, which is a modified version of the A321neo that is capable of flying longer distances. The airline has the option to convert even more airplane orders to the LR version in the future. During a presentation to crew members in a hangar at New York JFK Airport today, JetBlue also showed a map with further potential European destinations for the Airbus A321LR from its hubs in New York and Boston, which featured Lisbon, Madrid, Paris, Amsterdam and Dublin, along with London. 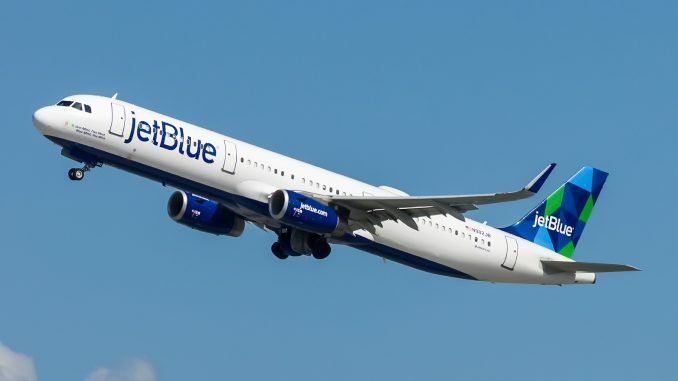 JetBlue Airways carried 42 million passengers in 2018, using a fleet of more than 250 aircraft, consisting of Airbus A320, A321 and Embraer E190 jets. The airline has firm orders for 60 Airbus A220-300, which are due to be delivered from 2020 and will replace the E190.